Best Indian Food Playa Blanca Lanzarote - Best Indian Restaurants . 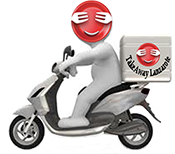 All type of Indian Restaurants in Playa Blanca Lanzarote - Indian Takeaway Restaurants - Indian Delivery Restaurants Playa Blanca Lanzarote Canary . Nan Bread There are 12 products to choose from. Takeaway Lanzarote - Restaurants Playa Blanca Stuffed with muhsroom, onion, cheese, chicken tikka, chilli and coriander.